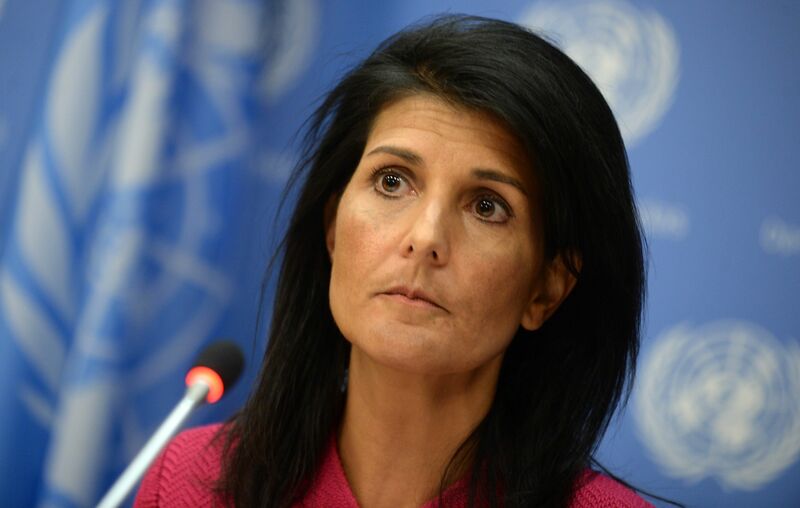 Outgoing United States Ambassador to the United Nations Nikki Haley has said that the US should not give any aid to Pakistan until the country changes its policies. She made the comments last week while giving an interview to The Atlantic. “We don’t need to be giving money to countries that go behind our back and try and stop us from doing things. We don’t need to be giving money to those that don’t want to be our partners, because there’s a lot of countries that do want to be our partners, and we just need to be smart about it,” said Haley, the first Indian-American ever appointed to a cabinet position in any US presidential administration. “The one example I’ll give you is, look at Pakistan. Giving them over a billion dollars, and they continue to ‘harbour’ terrorists that turn around and kill our soldiers—that’s never okay. We shouldn’t even give them a dollar until they correct it. Use the billion dollars. That’s not a small amount of change. Tell them, ‘You have to do these things before we will even start to help you with your military or start to help you on counterterrorism.’ It’s those types of things that you really want to kind of look at,” she added. Speaking in reference to foreign aid, she said that “I don’t think you should blindly give it and then expect goodwill. I think you have to ask for goodwill and then give it when you see good things happen”. Earlier this week, Prime Minister Imran Khan had said that the country will not be a “hired gun” of the US. “I would never want to have a relationship where Pakistan is treated like a hired gun — given money to fight someone else’s war. We should never put ourselves in this position again. It not only cost us human lives, the devastation of areas bordering Afghanistan, but it also cost us our dignity. We would like a proper relationship with the US,” he told the Washington Post. “Like the US, Pakistan too seeks peace in Afghanistan which is in its interest as well,” the PM had said, as he assured his government “will do its best”. As the US continues to ask Pakistan to do more regarding the reported terror sanctuaries in the country, the PM had asserted that “there are no sanctuaries in Pakistan” as he ruled out the presence of Taliban in the country. “When I came into power, I got a complete briefing from the security forces. They said that we have time and time again asked the Americans, ‘Can you tell us where the sanctuaries are, and we will go after them?’ There are no sanctuaries in Pakistan,” he had said. He had further asserted that “if there are a few hundred, maybe 2,000 to 3,000 Taliban who move into Pakistan, they could easily move into these Afghan refugee camps”. Talking about the relations with the US, marred by distrust, he had said “Who would not want to be friends with the US?”, while seeking improved relations with the world superpower. The premier also informed reporters last week that US President Donald Trump wrote a letter to him, seeking Pakistan’s assistance in resolving the Afghan problem. PM Imran also directed the Ministry of Foreign Affairs (MoFA) to prepare an affirmative reply to the letter conveying Islamabad’s resolve for bilateral economic cooperation with Washington.